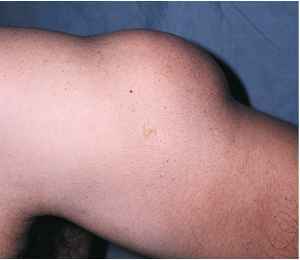 Figure 10-70 Sublaxated lens (left eye) in Marfan's syndrome. or vessels are visible. By rotating the diopter wheel with the index finger, you bring these structures into sharp focus. 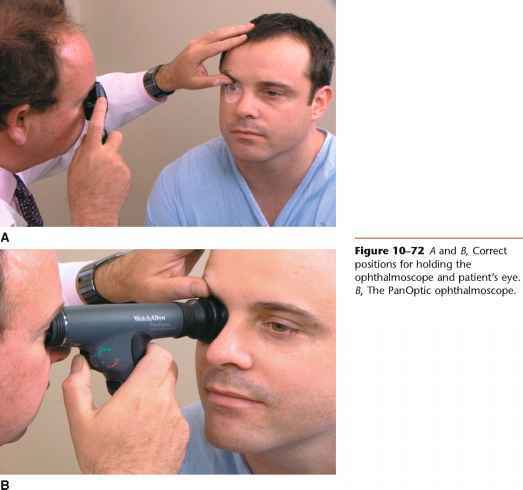 Figure 10-73 shows the correct position of the examiner and patient for viewing the retina;Figure 10-74A shows a normal optic fundus in the right eye, and Figure 10-74B, in the left eye. Notice that the macula is temporal to the optic disc. After the right eye is examined, hold the ophthalmoscope in your left hand and use your left eye to examine the patient's left eye. Figure 10-74 Photograph of the retinas of the right (A) and left (B) eyes.